Winner of the Irish Crime Fiction Book of the Year Award Thirty-five years ago Adrian Hamilton drowned. At the time his death was deemed a tragic accident but the exact circumstances remain a mystery. His daughter Clodagh now visits a hypnotherapist in an attempt to come to terms with her past, and her father's death. As disturbing childhood memories are unleashed, memories of another tragedy begin to come to light. Meanwhile criminal psychologist Dr Kate Pearson is called to assist in a murder investigation after a body is found in a Dublin canal. And when Kate digs beneath the surface of the killing, she discovers a sinister connection to the Hamilton family. Time is running out for Clodagh and Kate. 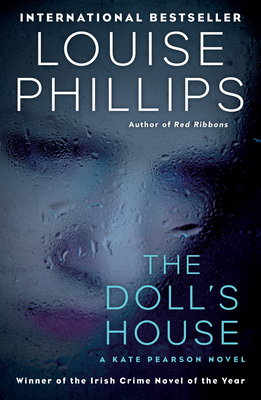 Louise Phillip's debut novel, RED RIBBONS, featuring criminal psychologist Kate Pearson, was nominated for the Best Irish Crime Novel of the Year, and her second novel, THE DOLL'S HOUSE, won the award. Louise's work has formed part of many literary anthologies, and she has won both the Jonathan Swift Award and the Irish Writers' Centre Lonely Voice platform, along with being shortlisted for the Molly Keane Memorial Award, Bridport UK, and many others. She is the recipient of an arts bursary for literature, and this year, she was awarded a writers' residency at Cill Rialaig Artist retreat. She was also a judge on the Irish panel for the EU Literary Award. Polis Books will be releasing her Kate Pearson series in North American for the first time beginning with Red Ribbons. Visit her at louisephillips.com and follow her at @LouiseMPhillips.